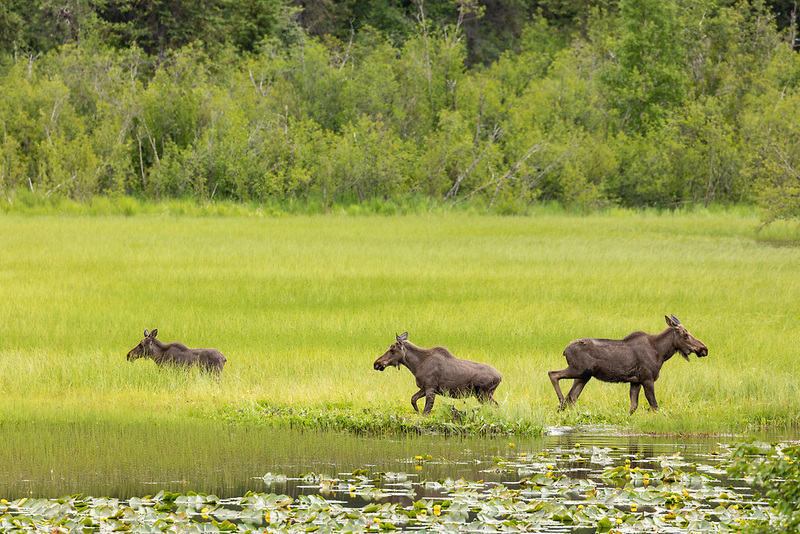 Moose (Alces alces) foraging in pond in Chugach National Forest on Kenai Peninsula in Southcentral Alaska. Summer. Afternoon.